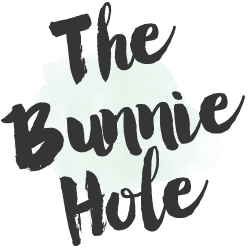 TheBunnieHole | Vancouver Youtuber & Blogger: Review: KISS Tapered End Lashes | Best Affordable Style! 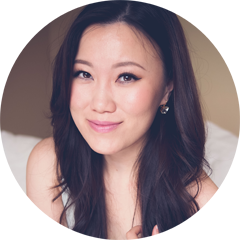 Review: KISS Tapered End Lashes | Best Affordable Style! As a self confessed false lash snob, I am hard to please when it comes to finding the perfect pair of falsies. Many of what's on the market today are just too big, too heavy and too fake especially if you have smaller eyes to begin with so I have always resorted to buying expensive Japanese brand lashes online. Well, I am delighted to finally find a pair that is not only comparable to some of my favourite Asian styles but at a price that you can really love. Would I (re)purchase: Already have! When it comes to navigating the rows of false eyelash options on the shelf, there's really only 2 things that matters regardless of the style and design; lash hair and lash band. The hair should feel soft and have a satin look (versus a plastic glossy finish) but the best lashes in my collection also have a tapered lash end. Finally, KISS brings this technology to the drugstores and created these Look So Natural series which employ exactly this technique to create fluttery and more realistic falsies. When lash hairs are cut blunt across in production, the uniform length gives a fake plastic doll-like effect where as our real natural lashes have fine tapered lash ends. These lashes mimic the same tapered hair combined with a soft C-shaped curl that gives a soft and fluttery result. Having done a little digging myself, it seems that although KISS only listed 5 styles on it's North American website, there are actually more styles available in other parts of the world. Oddly enough I picked up a pair in stores recently that had Japanese writing on it labeled as Featherlight Lashes and looked slightly different than the others. Shops in the UK also seem to carry these same lashes but the style names are not consistent with the Canada/US release. Either way, your options are plenty and you should be able to find a style that feels comfortable whether you prefer natural or dramatic. For those who often find falsies uncomfortable this series have the lashes knotted onto a clear flexible backbone which is not only easier to blend in with your own natural lash line but are also a bit more forgiving when it comes to long hours of wear. In this photo (above) I am wearing my favourite style from the North American release called "Shy" which is a medium to full density lash with shorter inner corners. The look is very comparable to the Dollywink Otona lashes that I often wear for filming but these are slightly shorter and perkier. On smaller eye shapes this would be the perfect style to enhance your makeup and because of their lightweight feel, I have worn them for 10 hour days without incident. I also popped on the "Flirty" version (below) but found them to be much too dramatic for my everyday taste and they would be better suited to those with larger eyes. Despite this, you can still see that the shape and style look very natural. With the release of these KISS Looks So Natural Lashes, I can finally stop panicking every time I run out of my usual false lashes. In fact, these have currently replaced my Japanese style lashes for everyday wear and I have actually gone out to the store to pick up a few of the other styles. The lash band is a little delicate so do handle them with care but I have already re-worn them 5-6 times and can probably still get a couple more uses out of them. A few of the styles are especially excellent for small eyes and at $5 a pop, I am totally in love.